90 Ounces water supply limit. Removable dribble tray. Brew temperature settings. Mix estimate choices: 4,6,8,10 ounces. Language inclination to English, Spanish or French. 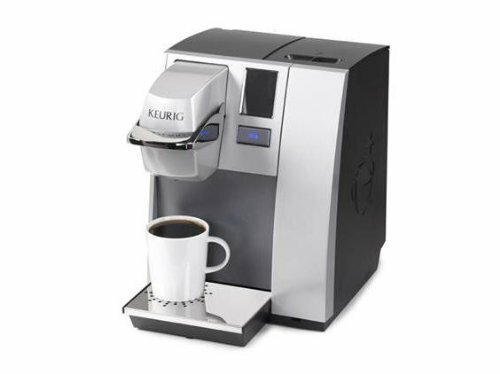 The Keurig B155 K-Cups single serve fermenting framework is ideal for little office and meeting rooms. The Keurig B155 preparing framework mixes espresso, tea, hot cocoa or frosted drink in less than one moment at a pinch of a catch and is completely programmable with an intelligent touchscreen that enables you to program the blend temperature, auto on/off and dialect inclination to English, Spanish or French. *Item sold as imagined (Manual and unique bundling NOT included. Fast shipping with tracking expedited . I do not ship internationally and APO.